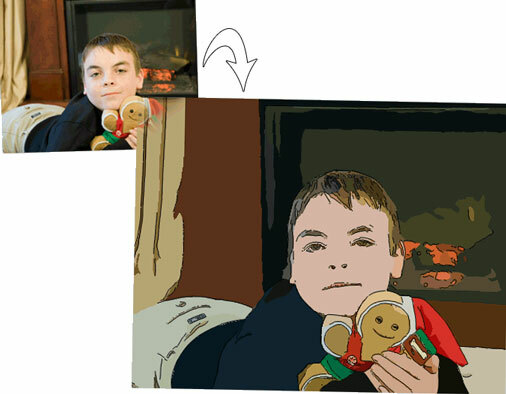 Photo to Cartoon converts photographs into color drawings or cartoons in just a few clicks. 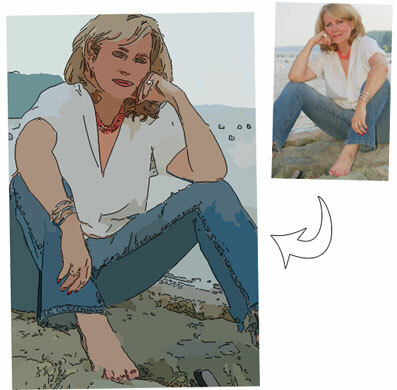 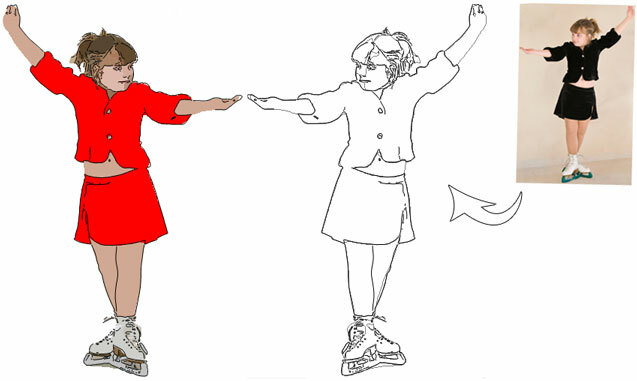 For a quick step-by-step guide please watch a short Video Tutorial that demonstrates the transformations below. 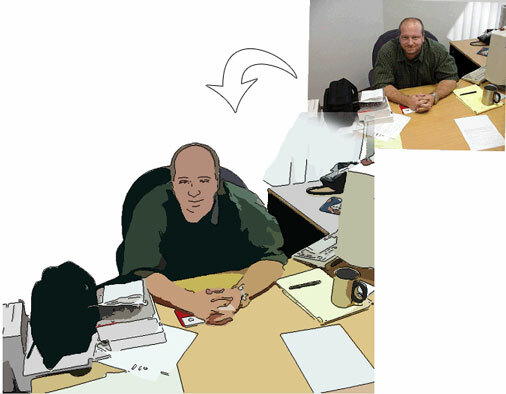 Photo to Cartoon can also animate your cartoons, as shown below.